Are you looking for the right balance between the top-notch solar systems and competitive pricing, Go Run Solar is the name to trust. We are one of the most experienced solar power experts in Brisbane. Since our inception, we have been helping Brisbane residents and businesses to harvest renewable solar energy whilst making them energy independent. When it comes to energy solutions, we believe in efficiency and innovation, which is why we are committed to helping you find the best solar panels with the latest technology for you. With 25 year warranty on solar panels, you can rely on us for your solar systems in Brisbane and surrounding suburbs such as Gold coast, Sunshine Coast, Logan, Caboolture and Ipswich. Why Should You Switch To Solar Power? How Much Can You Save By Installing Solar System in Brisbane? Your energy savings depend on the several factors like solar system quality, angle and orientation of panels, the number of panels, etc. In addition, how you consume power also has an effect on your emission. What Kind of Solar System Should You Install in Brisbane? Brisbane usually witnesses extreme weather conditions throughout the year. Thus, deciding on the solar system for your home or office, always opt for quality brands. We at Go Run Solar only supply quality products that are highly durable and can withstand Brisbane’s intense conditions. We source products only from the reputed brands and are also backed by after sales service and warranty. What Sets Us Apart In The Industry? Future-proof your home or business against rising energy bills by installing our solar systems in Brisbane. It can help you make long-term savings. 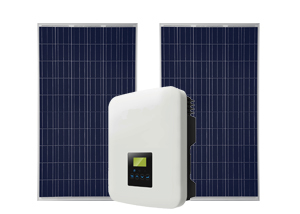 Looking for the best solar systems in Brisbane? At Go Run Solar, we offer you with the best solar systems in Australia along with its professional installation. Call 1300 856 678 & take control of your energy bills today!